Funeral services for JoAnn V. Carlsen, age 84, of Albert Lea, will be held at 1:00 p.m. on Monday, February 4, 2019 at Central Freeborn Lutheran Church. Rev. Matt Griggs will officiate. Interment will be at Central Freeborn Cemetery. Visitation will be from 2:00-4:00 p.m. on Sunday, February 3 at Bayview/Freeborn Funeral Home and one hour prior to the service at the church on Monday. Online condolences are welcome at www.bayviewfuneral.com. 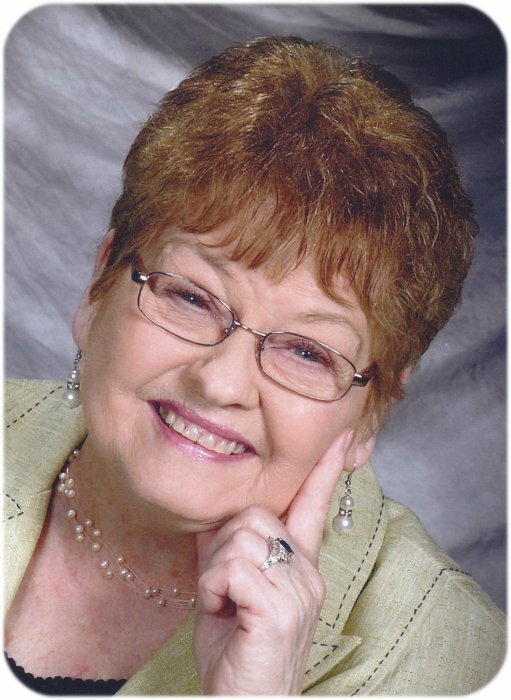 JoAnn died Thursday, January 31, 2019 at Mayo Clinic Health Systems – Albert Lea. JoAnn Veloy Carlsen was born on September 6, 1934 in Lake Mills, Iowa, the daughter of William and Cora (Ellingson) Martinson. She attended school in Scarville, Iowa. JoAnn worked as a waitress for a few years before she met her future husband, Darrell Carlsen. They were united in marriage on February 12, 1950 in Lake Mills. The couple farmed in Freeborn County up until 1976. JoAnn enjoyed baking, cooking, and playing bingo and cards. She loved spending time with her family and friends. JoAnn was a member of Central Freeborn Lutheran Church. She was also a member of the Albert Lea Senior Citizens Center, Trades & Labor Senior Housing Board, Eagles, and American Legion Auxiliary. JoAnn is survived by her children, Jim Carlsen of Albert Lea, Randall (Sandra) Carlsen of Elysian, MN, and Cathy (Phillip) Hensche of Clarks Grove; special friend, Frank Wakefield; grandchildren, Marcy Thompson (Keith Maletta), Teresa Rohl (Randy Kintzle), Lacy Carlsen, Erin Carlsen, Krystal Carlsen (Kevin Anderson), Jamie (Brandy) Hensche, Jeremy (Erin) Hensche, Jason (Kelli) Hensche, Lorrie (Lee) Haines, Cassie (Nate) Jenson, and Tracey (Casey) Robinson; 21 great-grandchildren; sisters, Sheryl Pavelka and Lou (Don) Hayes; brother, William Martinson, Jr.; sister-in-law, Evelynn Carlson; and many nieces, nephews, and cousins. JoAnn was preceded in death by her parents; husband, Darrell; sister, Karen Lein; brothers, Milford Martinson and Gary Martinson, in infancy; granddaughter, Amy Jo Hensche; daughter-in-law, Lezlie Carlsen; brothers-in-law, Joe Pavelka and Jack Lein; sisters-in-law, Tootie Martinson and Cindy Martinson.